This is Fabian Perez's third book published in 2013. It is composed of 328 pages and over 1,000 full color photographs of his paintings, editions, sculpture, studies, and pencil and pen and ink drawings. This hard cover book is dedicated to Fabian's son Tiago. 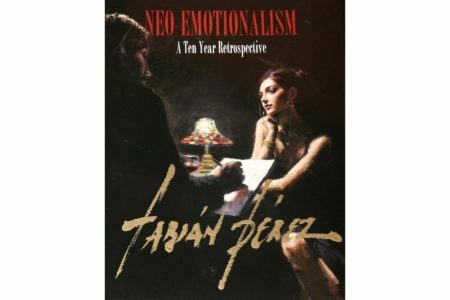 “Neo-Emotionalism – A Ten Year Retrospective” compiles 10 years of Fabian Perez's masterpieces. Fabian describes his style as Neo-Emotionalism, a movement that will be recognized by the Artist who, after creating their work will simply feel liberated and also by the viewer when they feel the creation in their heart.